Did you accidentally delete some important files or lost them in a system crash? Not to worry as the deleted files are still there on your disk. They will only be removed when they have been replaced by newer files. Data Recovery tools have been there since humans have started deleting files accidentally. But most of them are filled bloatware and adware always trying to shell out money from you. 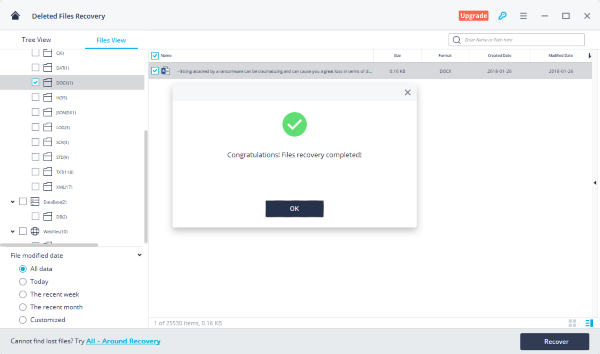 In this review, we have a reviewed a free, targeted file recovery software called Recoverit that always gets the job done. Recoverit is not just meant for normal deleted file recovery; it can help you out in toughest of times such as Lost Partitions, Formatted Drives, and the tool also works with external drives as well. The tool is offered in a variety of options, both free and paid. The only limitation with free variant is that it lets you recover files of up to 100 MB size only. This limit will work pretty well if you want to use this tool to just recover documents and other similar files. For larger files, consider upgrading to a paid plan. This is the simplest form of data recovery. It can help you bring back files that were permanently deleted from your system using ‘Shift+Del’ keys. If some files were deleted by an application (intentionally or unintentionally), you could bring them back using this mode. It is quite simple to use Recoverit, given its beautifully designed minimalistic UI. To start the recovery process, all you need to do is select the drive you want to scan your files for. Now wait till the scan completes and results are produced on your computer screen. The scanning does not take much time; I hardly took 3-4 minutes to scan my 1 TB HDD. Once the scan is complete, you can view all the files that can be recovered. Remember that all deleted files cannot be recovered, only the ones which have not been over-written can be. Recoverit will display all the files in an easy to browse format. You can select all the files you wish to recover and then hit the Recover button. After that, you need to specify the location where you want to save these files and voila, your files will be recovered and saved at the selected location. You can read all about data recovery from USB here. At times we might use the ‘Empty Recycle Bin’ feature to free up a little disk space. Or while using a utility such as CCleaner, we might accidentally clean Recycle Bin and then realize later that it had some important files. Recoverit can also recover all such files that were removed from recycle bin as well. This feature is a similar one, and all you need to do is select your files from the scan results and start the recovery. If you’ve accidentally formatted a hard drive, this feature might come handy. Specifically designed for formatted drives, the feature works with both internal and external disk drives. All you need to do is select the desired drive and start scanning. There are chances that while reinstalling Windows, you accidentally changed your computer’s partitions and lost some files in the process. Lost Partition Recovery can help you recover files that were lost while deleting or resizing partitions. Did you lose some files that were on your USB Drive? Not to worry, Recoverit has got you covered. It supports almost all kinds of external devices for file recovery. You can connect your USB Drives, Digital Camera, Camcorder, Memory Card, iPod/MP3/MP4 Player, SD Card, CF/XD/MMC Card or any other USB device with storage capabilities. The program will automatically recognize the device and display its properties. Data loss and accident deletion from USB drive is a real common issue. You can read more about recovering data from a USB drive here. This mode looks for any data losses occurred due to a virus or malware attack. You can select a drive and start scanning for any such data losses. This is an outstanding feature offered by Recoverit. 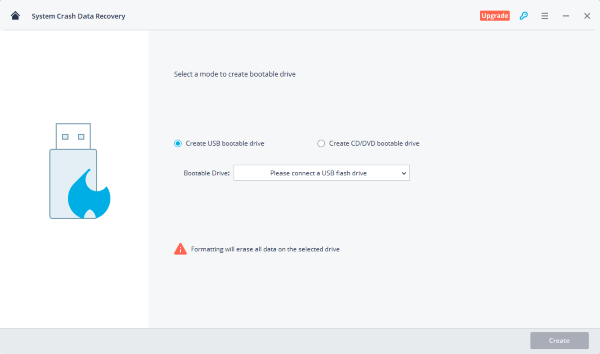 It basically lets you create a bootable drive that can help you recover data in case Windows is not able to start because of a system crash. You can either create a bootable USB Drive or a CD Drive. Keeping a bootable recovery disk handy has always proven to be a useful tool. If your data loss did not fall into any of the categories above, you could always start an All Round Recovery that will deeply scan your computer’s hard drive for any recoverable data. And the recovery process is similar as discussed before. 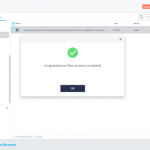 Wondershare Recoverit is a great recovery tool to have. It offers targeted recovery options and supports almost all the file types and devices. Moreover, it comes with a neat design and an easy to use UI. This is a must have recovery tool for all Windows users. You can download the free data recovery software here. Lavish loves to follow up on the latest happenings in technology. He loves to try out new Windows-based software and gadgets and is currently learning JAVA. He also loves to develop new software for Windows. Creating a System Restore Point first before installing a new software is always recommended, he feels. What is Tactile Internet and what are it’s applications?